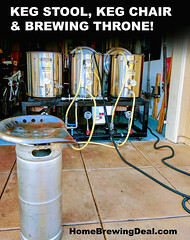 Coupon Description: MoreBeer.com currently has a sale going on that can save you 10% on select home brewing ingredients such as hops and grains! This sale is for 2 days only, so stock up while you can! Don’t forget, you get free shipping on orders over $59! 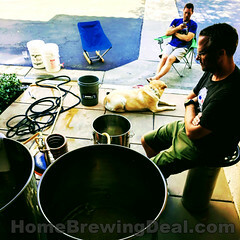 Sale Description: Adventures in Homebrewing currently has a sale going on where you can save 20% On Home Brewing Recipe Kits. 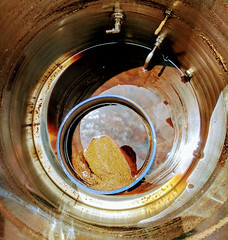 These are some of Adventures in Homebrewings best beer brewing recipe kits and you can save a bundle on them if you act now. Coupon Description: MoreBeer.com currently has a coupon code that will get you a Homebrewing Magnetic Stir Plate for $56.99. If you’ve always wanted to improve the quality of your yeast starter or your home brewed beer for that matter; using a stir plate is an easy way to do so. This More Beer Homebrewing stir plate can be used with a 2000 ml or 5000 ml flask. It has a nice large footprint that adds stability while it’s running. Coupon Description: HomebrewSupply.com currently has a promo code where you can get a 5 Gallon Belgian Witbier Beer Kit for just $17.95. This delicious Wit Bier is a pale and cloudy beer. There is a high percentage of wheat with some oats that make it seem creamy and smooth.The coriander flavor and other spice are a complement to the richness of the mouthfeel. Crisp and lively, this beer is great served with an orange slice or without one. 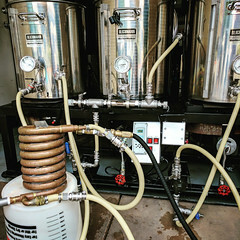 Coupon Description: MoreBeer.com currently has a coupon code that will get you a Stainless Steel Home Brewing Fermenter For Just $195. So upgrade your home brewery with an stainless steel, 7 Gallon Brew Bucket Homebrewing Fermenter! You will enjoy many of the benefits of a stainless conical fermenter but at a fraction of the cost and you are going to love how easy it is to use!